A website shared the steps in transferring land in the country. The Torrens system was established in order for the government to solve land titling and land transactions. This has been its purpose for the past few years. According to the website Afrennolasco.com, the process of transferring land is still tedious for a non-expert. First, the owner needs to provide the necessary documents as required by the Assessor’s Office, Register of Deeds and Treasurer’s Office in a person's respective area. Depending upon the agreement of the buyer and seller, but the seller usually files for the tax clearance required by the Treasurer’s Office. In order to be cleared, it is crucial that one submits receipts and tax declarations of the land to said office. If there are arrears, then it is need to pay them for the transfer to take place. Second, there must be an assessment by the BIR and City Treasurer’s Office of the Transfer of Taxes, after which one needs to file for Issuance of Certificate Authorizing Registration (CAR) or BIR clearance from the BIR. The CAR will serve as evidence that the sale has taken place and the taxes has been paid. After which, the BIR may ask for various documents. 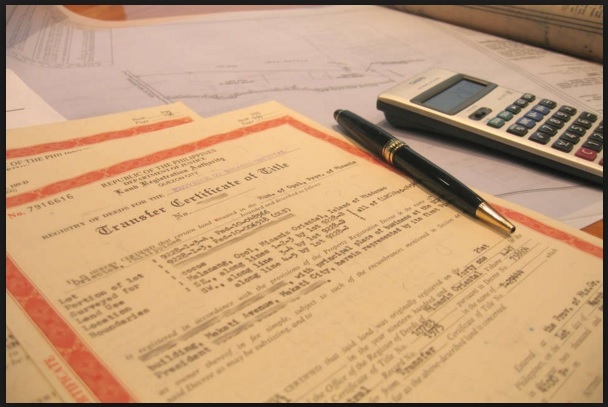 These documents are: TIN of seller and buyer, Notarized Deed of Sale, certified true copy of the Tax Declaration by the Assessor’s Office, and a copy of the Original Certificate of Title (OCT) or Transfer Certificate of Title (TCT). The transferer must then pay the transefer taxes within sixty days after the execution of the Deed of Sale to the Treasurer’s Office presenting the CAR from the BIR, Tax Clearance from the Treasurer’s Office, and official receipt of payment of documentary tax from the BIR. The title may then be issued after the filing at the Reistry of Deeds wich requires that the following documents be presented: the copy of deed of absolute sale, receipt of payment of transfer tax, CAR, tax clearance, and TCT in the name of the seller. The documents must be filed at the Assessor’s Office for the issuance of new Tax Declaration. The website said that on a case to case basis, processing to acquire Torrens Certificate of Title for land transfer is not easy as expected. There may surface problems along the way if the previous ownership of the land not certified thoroughly. So to be sure, the person should check first the encumbrance or marks at the back of the title on the property he or she is about to purchase. "There a lot of marks, ask someone who is knowledgeable enough on this matter and ask opinion whether to proceed with the purchase or not. If not, buy a title that is free of encumbrances. Aside from this, transferring title of land that are undivided or has many owners is complicated because all the owners need to sign for the approval of the sale. So it is advisable to buy a land that has already been subdivided from previous owners to avoid complication," it added.